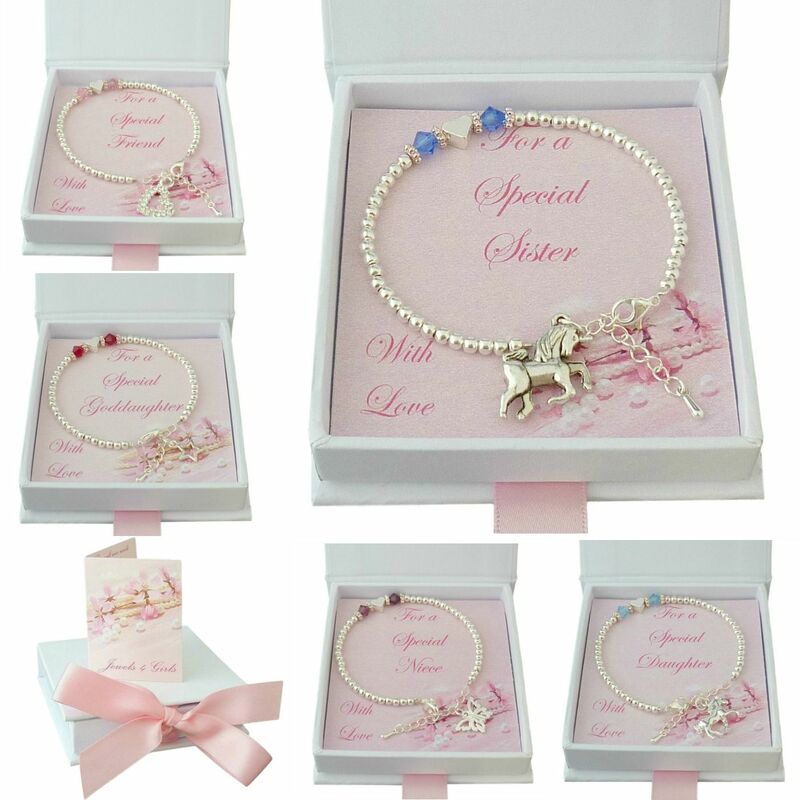 Take thoughtful gifts to a whole new level with this delicate birthstone bracelet with choice of charm in a special gift box. Ideal for a woman or a girl, you can choose either a horse, unicorn, butterfly, star or open heart charm to hang by the clasp. Each bracelet is size adjustable so you don't need to worry about whether the bracelet will fit when it is given as a surprise gift. This design features two Swarovski crsytal birthstones framing the little silver heart bead with a row of 3mm Sterling silver plated beads along either side. 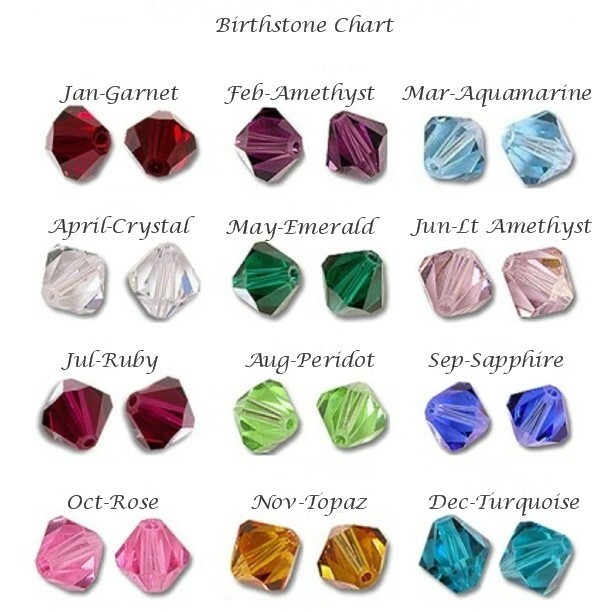 Express Delivery is available on all items of Birthstone Jewellery! The birthstone crystals used are from the Swarovski Elements range, well known for their exceptional sparkle and high quality. 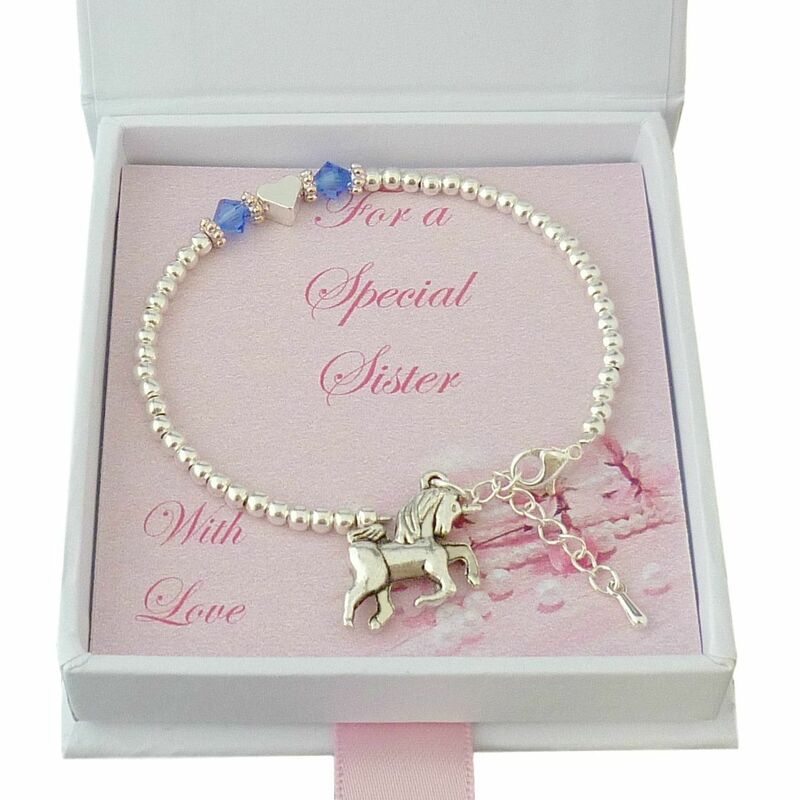 As this is a delicate bracelet it is ideal for stacking with other bracelets and a good choice as a gift for someone who appreciates fashionable jewellery. For a Special Mum, with love. For a Special Mummy, with love. For a Special Sister, with love. For a Special Daughter, with love. For a Special Nanny, with love. For a Special Friend, with love. For a Special Auntie, with love. 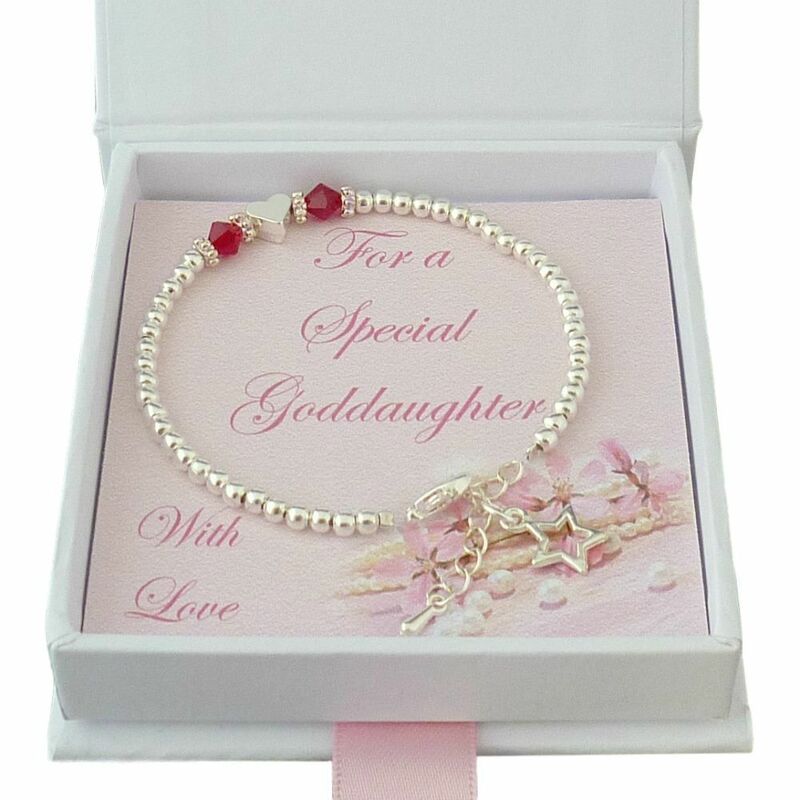 For a Special Flower Girl. Please make your gift card selection from the drop down box. Also included is a matching gift card for you to hand write your own special message inside. Metal Parts: High quality Sterling silver plated parts. Non UK Customers: Please note that all cards are printed in English only, as shown.